Among the multitude of things one can do with American Express' services is fund accounts at Amex betting sites. That is, most non-Americans can make such transactions. For Americans, the situation is little different, thanks to federal banking and credit card regulations that make such transactions illegal. American Express is probably best known for pioneering the use of “travelers checks,” a service first implemented more than 100 years ago. Today American Express handles about a quarter of the total dollar amount of credit card transactions in the US annually, and stands as one of the 30 component companies of the Dow Jones Industrial Average. For non-American Amex clients, the process is fairly straightforward; most online betting shops will gladly accept funds from and pay out to Amex accounts. There are always limits and fees, however, sometimes on both ends of the transaction, so potential bettors will want to do some homework, and use the financing options that work best for them. Americans, though, will have problems using their American Express services to facilitate their online betting accounts. That's why American Amex customers might want to try using online financial intermediaries, such as MyPaylinQ or Neteller. An American Express card can be used to fund accounts at intermediary outlets, which can then be used to fund online betting accounts. While using an intermediary might sound like an unnecessary burden, it can work to the bettor's advantage by providing an extra level of security between the online betting shop and the American Express cardholder’s personal financial information. As mentioned above, there will be fees involved when using American Express to fund accounts with Amex betting sites, but many such sites also offer bonuses that help offset such fees. The presence of an American Express logo on a betting site is a good thing for American Express clients, because it almost acts as an endorsement itself. American Express doesn't want to get involved in transactions with unscrupulous businesses, and has protections in place to keep its customers from doing so. If there's an American Express logo on a site, you can bet Amex has confidence that site will treat its customers fairly. Most Amex betting sites are fully licensed to operate in the online gaming business. Such sites are also likely to be owned by well-known parent companies, and are monitored by online sportsbook watchdogs. Nonetheless, the first thing a potential bettor should check is whether the online betting shop he's considering playing with is licensed, and who owns it. Because with licensing and reputable ownership comes oversight, which in actuality is beneficial to the bettor. Once all that has been researched potential bettors can get down to the business of researching the Amex betting sites themselves. Bettors will want to compare and contrast things like the financial incentives, such as bonuses, loyalty programs, promotions and free bets, and the sports betting offerings. Since most Amex betting sites are among the largest in the sports gaming world, with a large and diverse clientele from around the globe, their sports betting offerings will cater to their bettors by offering action on a wide variety of the most popular, and even many of the least popular, sports and events. World Cup? Check. World Series? Check. World championships? Check. Olympics? Arena football? Formula 1? European league basketball? The biggest and the best books offer wagering on it all. A potential bettor will also want to become familiar with the type of bets offered, the betting limits, and of course the odds. Those types of things can vary widely from shop to shop, but generally speaking the larger shops are able to offer a wider variety of bets, better odds and bigger limits, because of their overall handle. And horseplayers should know beforehand what the payout limits are on exotic wagers, such as trifectas, superfectas, pick-sixes and the like. How do Other Betting Site Deposit Methods Compare to American Express? 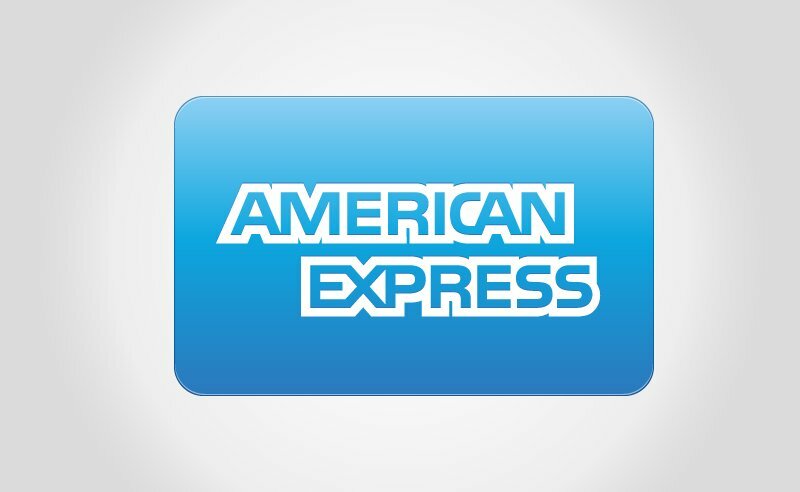 American Express can be a very viable option to fund and cash Amex betting sites, but that doesn't mean American Express is always the best option. Much depends upon the individual bettor. There are other online payment services that might be more convenient, with lower fees and better perks. Then again, almost all the most reputable shops accept dealings with American Express, while other outfits might not. Bettors can also use debit cards, which are accepted almost everywhere, and don't include fees. And bank wires can be very reliable, and are usually the best way to make larger deposits and withdrawals. However, their clearing time can be as much as several days on either end of the transactions. Ultimately the only way to find out about the best methods of financing online betting accounts is to do the legwork and shop around.